Happy November ~ I hope you had a Happy Halloween, I can't believe the month of October flew by so quickly. I will be taking all the Halloween decorations down tomorrow and putting up my Thanksgiving things, I LOVE Thanksgiving and the poor thing just doesn't seem to get much love! It seems the t.v. commercials are all geared to gettting us shopping for the holidays ( even though, I have already started...). I try to enjoy each holiday one at a time and turkey-day is at the top of my favorites list. With that being said, I have some of my "Favorites" for the month of October and it is all about fall. Come along as I give you some great candle suggestions that really make our house feel like home. I also have been doing some make-up shopping and have found some yummies from QVC and my local Sephora and Ulta. 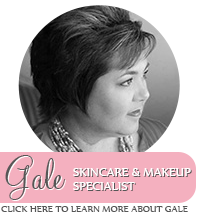 My scrubby (scrapbooking hubby) keeps telling me "Everyday isn't Christmas Gale..." My reply is - "well it should be!" BAM!